There is no inbuilt function in Excel to remove all the text part from a string and get only the numeric part (or vice versa – remove the numeric part and give only the text part from a string in a cell). However, this can be done using a cocktail of Excel functions. Let me show you exactly what I am talking about. Note that column B only has the text part from the string and column C only has the numeric part. Until Excel 2016, it was extremely difficult to do this using Excel in-built functions. However, in Excel 2016, a new function was introduced – the TEXTJOIN function. And this function made is possible to get the numeric/text part from a string in Excel. Below is the formula that will give you numeric part from a string in Excel. This is an array formula, so you need to use ‘Control + Shift + Enter’ instead of using Enter. (MID(A2,ROW(INDIRECT(“1:”&LEN(A2))),1)*1) – This part of the formula would return an array of #VALUE! errors or numbers based on the string. All the text characters in the string become #VALUE! errors and all numerical values stay as is. This happens as we have multiplied the MID function with 1. =TEXTJOIN(“”,TRUE,IFERROR((MID(A2,ROW(INDIRECT(“1:”&LEN(A2))),1)*1),””)) – The TEXTJOIN function now simply combines the string characters that remains (which are the numbers only) and ignores the empty string. Note that this formula would give you all the numeric characters together. For example, if the text is “The price of 10 tickets is USD 200”, it will give you 10200 as the result. Pro Tip: If you want to check the output of a part of the formula, select the cell, press F2 to get into the edit mode, select the part of the formula for which you want the output and press F9. You will instantly see the result. And then remember to either press Control + Z or hit the Escape key. DO NOT hit the enter key. Again, this formula also follows a similar logic explained above. A minor change in this formula is that IF function is used to check if the array we get from MID function are errors or not. If it’s an error, it keeps the value else it replaces it with a blank. Then TEXTJOIN is used to combine all the text characters. If you’re using Excel 2013 or prior versions of Excel, you will not be able to use the TEXTJOIN function. In that case, you can create a custom function using VBA. Once created, you can use this custom function (just like any other Excel function) to strip the numeric or text characters from a string. In this part, I will show you how to create the custom function to get only the numeric part from a string. In the VB Editor backend that opens, right-click on any of the workbook objects. Go to Insert and click on Module. This will insert the module object for the workbook. 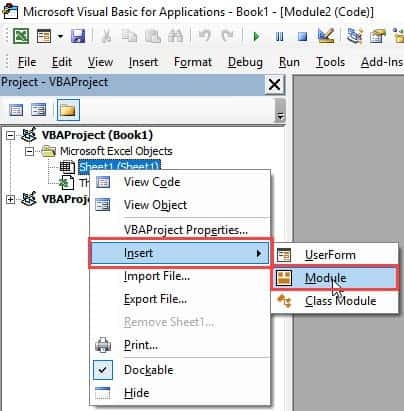 In the Module code window, copy and paste the VBA code mentioned above. Now, you will be able to use the GetText function in the worksheet. Since we have done all the heavy lifting in the code itself, all you need to do is use the formula =GetNumeric(A2). This will instantly give you only the numeric part of the string. 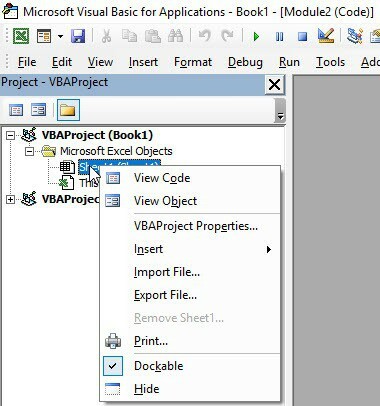 Note that since the workbook now has VBA code in it, you need to save it with .xls or .xlsm extension. In this part, I will show you how to create the custom function to get only the text part from a string. If you already have a module, double-click on it (no need to insert a new one if you already have it). Now, you will be able to use the GetNumeric function in the worksheet. Since we have done all the heavy lifting in the code itself, all you need to do is use the formula =GetText(A2). CONCATENATE Excel Ranges (with and without separator). Using Text to Columns in Excel. How to Extract a Substring in Excel (Using TEXT Formulas). 20 Useful Excel Macro Examples for VBA Beginners. Dear, These cells have codes (? *) and (?) and (“Low Vol”) and numbers with code (67,306,444 *) how can I separate the numbers and use them for calculating. Unfortunately, function Getnumber not helping especially when all codes in the same column with more than 2 thousand cells. I’m using Excel 2016. The textjoin function is only available in 365. I put in the VBA formulas to no avail. Not only that, but now no functions or calculations will work on the spreadsheet. Please help. Hi Sumit i watch all the published video of yours and find it interesting and useful….i need your small help today i wanted to convert numeric value in words without using macro if there is any formula for the same please help. Thanks for sharing Franz.. This formula doesn’t work if there are no spaces. For example, if the text is “ABC123”, then it would return an error. Hey @Sumit, need your help on creating an Attendance tracker using formulas in Excel.